Fresh goose legs from our latest hunt cured, sealed with a Weston Vacuum Sealer to be cooked sous vide in fat for hours, then fried in a skillet make for an absolutely delicious, savory wild game dish. 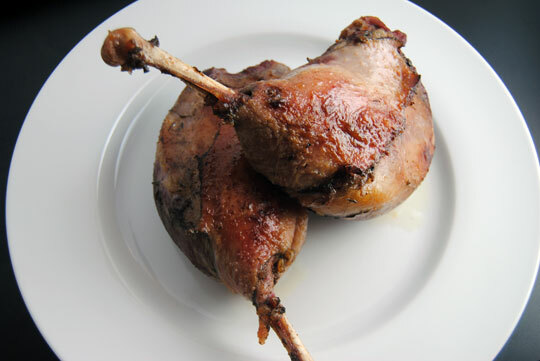 We made our confit from a freshly hunted goose. As such, we had to pluck it ourselves. After plucking, we processed it using our Weston 10 Piece Game Processing Knife Set. We removed the breasts for our Smoked Goose Breasts recipe, then we removed the wings and legs for this recipe. Once we had our wings and legs, it was time to cure them. Zest your orange with a Weston V-Slice Mandoline with the small grater plate inserted. Mix together the ingredients for the cure, then rub them onto the wings and legs. Place into a Weston Vacuum Sealer Bag, then use a Weston Sealer to seal them. Place the bag into the refrigerator and allow to cure for 12-18 hours. Ours was perfectly salty at 18 hours. In the meantime, render your fat. 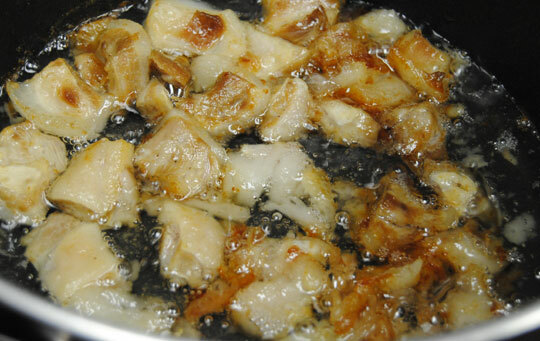 Place the fat into a skillet over medium heat and cook until your fat is brown and shriveled (about 30 mins). 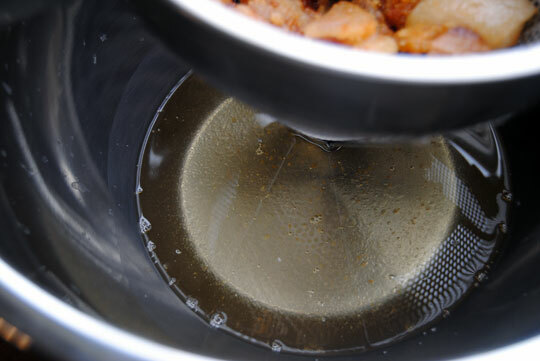 Strain the fat with a Weston Stainless Steel Cone Strainer. 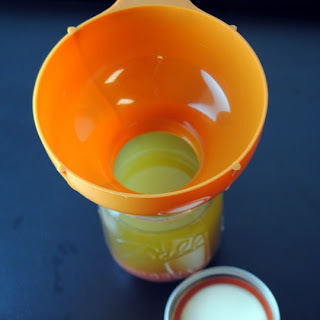 Allow the liquid to cool, then place in an airtight container and store in the fridge. This way, you can use one cup for this recipe, and use the remaining for your future recipes. to make sure we don't waste a drop of this savory rendered fat. After curing, remove the goose from your bags and rinse thoroughly then pat dry. 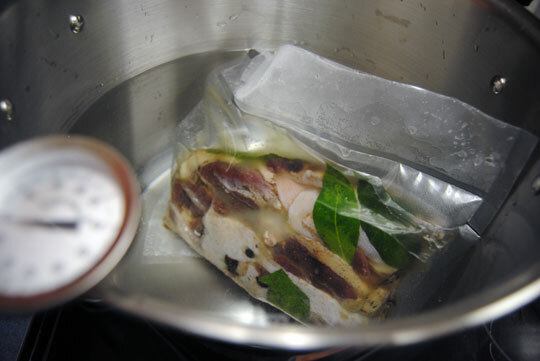 Scoop one cup of fat into a Weston Vac Bag, then place the legs and wings on top of the fat in a single layer, and drop in bay leaves and juniper berries, trying to distribute them as evenly as possible. Seal the bags with a Weston Vacuum Sealer. You're going to cook the goose 'sous vide' style (we don't have a fancy machine so we do it our own way). Place a large pot of water on your stove (large enough to completely submerge your bag). Bring your water to 160 and try to stabilize it right about there - turning your burner to low should do it. Use a thermometer to monitor the temperature. Place your bag into the water and allow to cook for about 10 hours. We cooked ours for 16 hours to make it as tender as possible - goose meat is pretty tough. At this point, you can allow it to cool and store it in its vacuum sealed bag in your fridge for up to six months or longer frozen. We opened the bag, poured the fat into a jar - keeping 2 tablespoons of it for frying - then poured the goose and 2 tablespoons of fat into a large pre-heated skillet. We fried the goose over medium-high heat for ten minutes, flipping once, then served it hot and crispy.